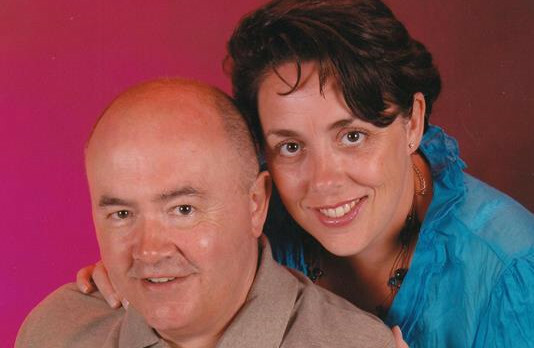 A West Yorkshire husband and wife have secured over £6,000 in total compensation following entirely preventable illness at the Reef Oasis Blue Bay Resort and Spa in Sharm el Sheikh. Mr and Mrs Dawson turned to market leaders Holiday Illness Claims for expert legal advice after their 20th wedding anniversary plans were crashed by the crippling symptoms of gastric illness. The Dawsons suffered so severely that both members of the stricken couple sought medical treatment in resort, incurring over £300 in doctors fees and medical expenses. Upon arrival at the Reef Oasis Blue Bay Resort and Spa, Mr and Mrs Dawson soon realised that the facilities on offer were far from five-star as described. The Upton holidaymaker expresses great concern that dishes served at the Fishermans restaurant appeared to be sat there from opening to closing. You could also see flies swarming over the uncovered cold foods such as cereal, jams and bread, he adds. Just 2 days into their July 2015 anniversary trip, Mr Dawson was struck by stomach cramps, sickness and diarrhoea that left him weakened and dehydrated to the point that he actually fainted. Despite receiving a combination of IV treatment and antibiotics from the hotel doctor, Mr Dawson continued to suffer repeat illness symptoms for the remainder of his ruined anniversary trip. Mrs Dawson did not fare much better as she too experienced the same debilitating illness symptoms just one day before what was to be the couples 20th wedding anniversary celebration. After seeking medical treatment from the local pharmacy, Mrs Dawson was placed onto a regimen of antibiotics, antispasmodics, anti-motility tablets and electrolyte replacement salts. This illness has ruined our holiday and our anniversary celebration, Mr Dawson explains. In total, we spent 8 days confined to our room. We were unable to celebrate or explore any of the surrounding areas as we were simply too ill. He firmly believes that their illness was entirely preventable had hygiene standards been adhered to at Reef Oasis Blue Bay Resort and Spa. At the close of their ruined holiday, the Dawsons returned home still suffering from repeat bouts of sickness. Consultation with their own GP revealed that Mrs Dawson had contracted gastroenteritis whilst Mr Dawson was referred for further hospital tests. Sue Robinson, travel law expert at Holiday Illness Claims was the Dawsons first port of call for legal representation. With Sues help, the West Yorkshire couple successfully pursued no win no fee claims for gastroenteritis on holiday, receiving £6,200 in a settlement with tour operator Thomson. Commenting on the case Sue said: It was my pleasure to assist the Dawsons after illness ruined an important milestone celebration. At Holiday Illness Claims we are no strangers to outbreaks of illness in Egypt. Our dedicated solicitors have already helped British holidaymakers receive millions in hassle-free no win no fee claims following sickness stricken stays throughout Egypt. I would strongly encourage anyone who has experienced illness symptoms such as sickness and diarrhoea on a package holiday within the last three years to contact Holiday Illness Claims to see if you too could make a claim. You are only a phone call or click away from expert legal advice. With over 50 years experience in travel law and an unrivalled claim success rate, Holiday Illness Claims have the expertise and background knowledge to ensure that you receive the compensation you deserve following illness abroad. To discuss your case with one of our experts, call 0800 01 54321 now. Alternatively, simply complete the quick online contact form and an experienced holiday illness lawyer will be in touch within 24 hours.